Want to be notified of new releases in esbie/jasmine-bootstrap? I kept all the TrivialReporter's css classes and most all of its html structure intact. 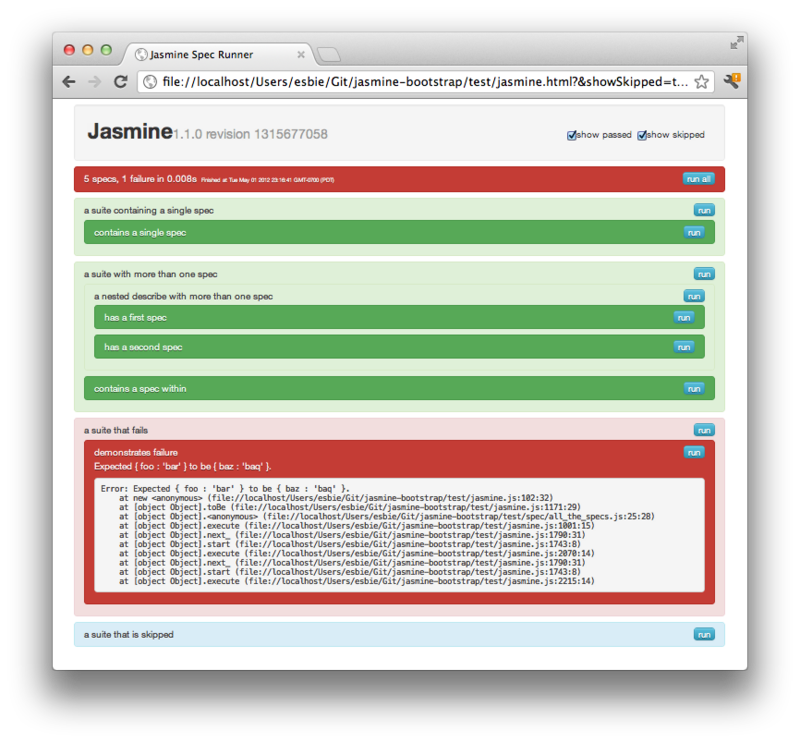 That way jasmine-bootstrap should work with whatever ci you may have already built around the TrivialReporter. Does the jasmine-bootstrap reporter change anything else? showSkipped and showPassed are now url parameters that persist on suite re-run. the spec url parameter is respected by the entire suite, not just by the total number of specs run.